Over the course of nearly one hundred years, just a handful of NFL teams have enjoyed success across multiple decades. There’s absolutely no doubt which franchise the fans in Wisconsin would put at the top of the list. Most Packers fans are familiar with the greatest players, games, and moments in team history. But what they don’t know is just what it was like to go up against their favorite team. When opposing clubs prepared to play Vince Lombardi’s squad, how did they contend with the one play they knew was coming: the green and gold’s formidable power sweep? When the Vikings, Lions, 49ers, and other teams played against the Brett Favreled Packers, how did they fare against the three-time league MVP? After Favre departed the stage at Lambeau, how did opponents contend with another MVP quarterback, Aaron Rodgers? In Facing the Green Bay Packers, veteran sportswriter Chuck Carlson takes Packers fans inside the locker rooms, onto the sidelines, and out on the field with opposing players and coaches. Carlson interviews some of the biggest names in the game to get their perspectives on playing against the best teams in Packers history. 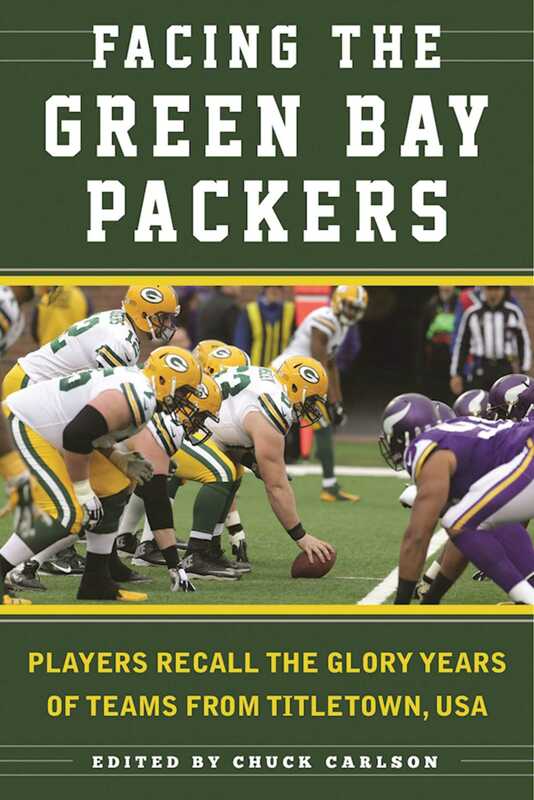 He covers the most dramatic moments, most intense rivalries, and most unforgettable games from Green Bay’s pro football lorefrom the other side of the line of scrimmage. Vince Lombardi famously said that teamwork is what the Green Bay Packers is all about.” The result was unqualified excellence. This book describes what it was like to play against his Packers teams and others, in the words of players who did just that. Chuck Carlson was a sports writer/columnistfor more than 30 years with newspapers in Virginia, Maryland, Washington, Illinois Nevada, and Wisconsin. He spent eleven years covering the Green Bay Packers for the Appleton Post-Crescent and this is his tenth book on the Packers. He is now director of media relations for Albion College in Michigan and he lives in Marshall, Michigan.